News Media Canada is pleased to announce that Jane Gerster and Zane Schwartz have been named the winners of the 26th annual Hon. Edward Goff Penny Memorial Prizes for Young Canadian Journalists. For more information, contact us at awards@newsmediacanada.ca. 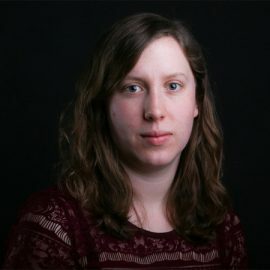 Originally from Toronto, Jane worked as a reporter at the Moose Jaw Times-Herald from October 2016 to March 2017. She currently works as a reporter at the Winnipeg Free Press. Prior to moving to the prairies, Jane worked as a freelance journalist for publications such as Vice, Makivik Magazine, and Daily Xtra. She has worked at The Wall Street Journal, the Toronto Star, and The Canadian Press. She's filed stories from the Yukon and Ecuador and many places in between, reporting mostly in English but also in Spanish. She has an MFA in narrative nonfiction writing from Baltimore's Goucher College and a Bachelor of Journalism degree from Carleton University in Ottawa. 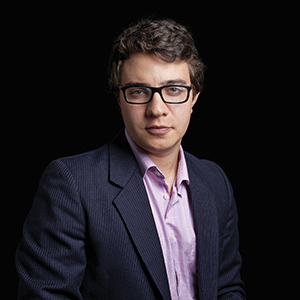 Zane Schwartz joined the National Post in October 2016 as the 2017 Michelle Lang Fellow, covering politics and foreign affairs. As part of the fellowship, he is currently working for the Calgary Herald. Zane was previously a staff reporter at Maclean's and has also written for The Globe and Mail and the Toronto Star. He has a bachelor's degree in history from the University of Toronto, where he studied counterterrorism and the history of war.